Make Your Event Loaded with Fun! With two different boats to choose from you can customize your options for your trip. Four Winds II can accommodate groups up to 120. From a coastline sightseeing excursion, snorkeling or whale watching tour, leisurely cocktail cruise, wedding parties/events, birthdays, anniversaries, and much more…we can do it all! Built for fun, stability and comfort, yet it is spacious enough to mix and mingle. Food options can include hot-off-the-grill BBQ or customize. Beverage options include sodas, beer, wine or upgrade to our premium bar if desired. 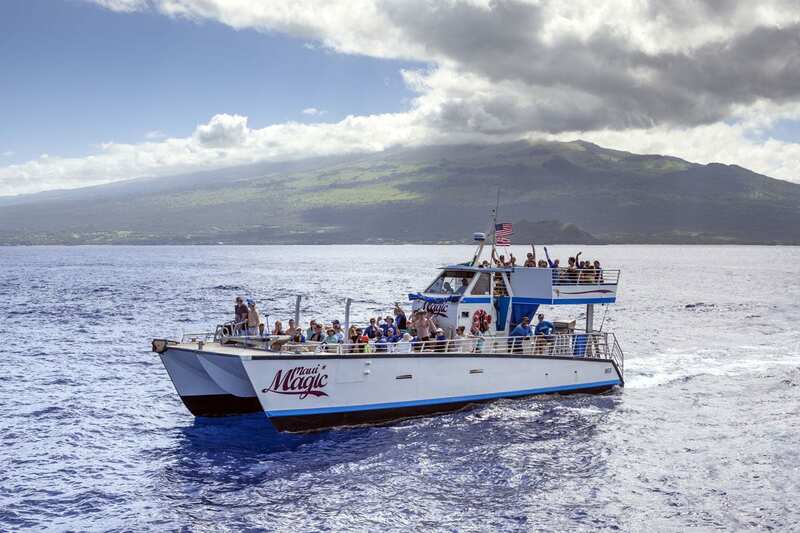 Maui Magic can accommodate groups up to 45. Perfect for an afternoon spent snorkeling or private whale watching during seasonal months. 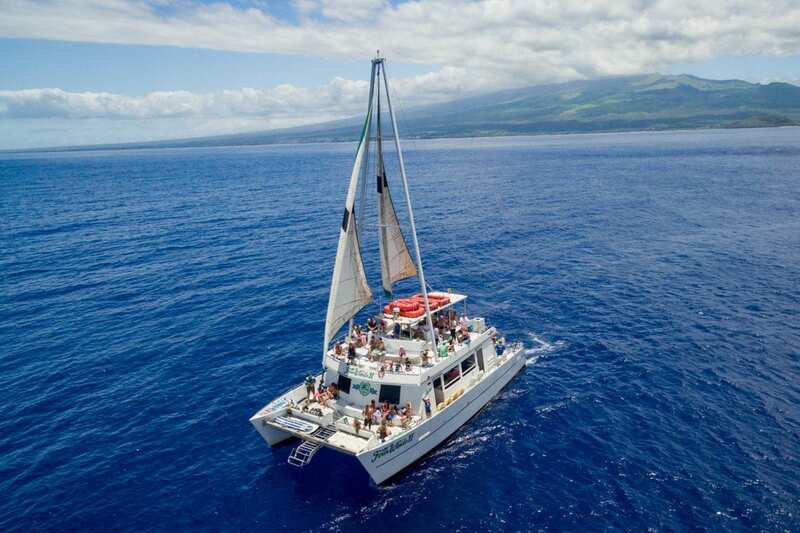 The Maui Magic is a smaller faster catamaran that gives you the ability to snorkel multiple destinations and premier access spots along the coastline. 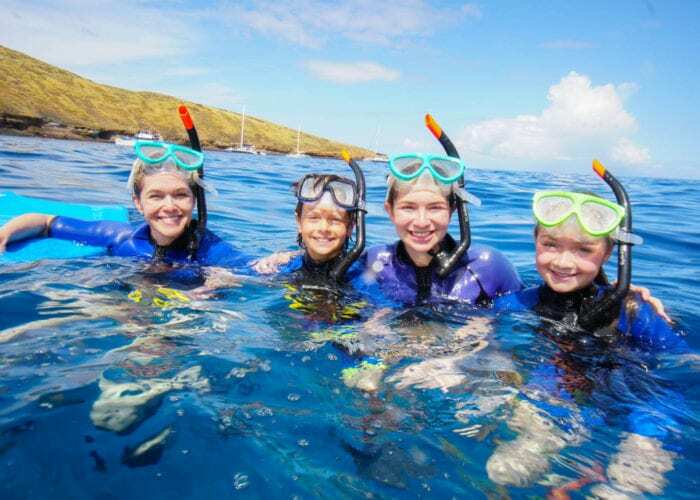 They also offer a chance to snorkel with turtles and see dolphins in the wild. 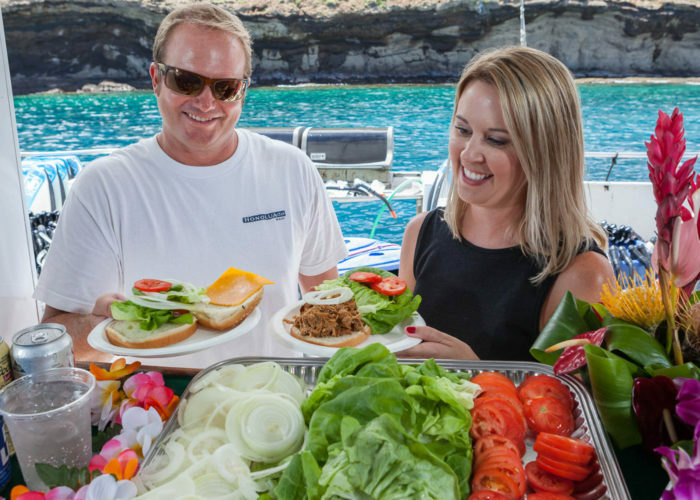 Choose optional BBQ lunch and beverages to add on to your private trip. Choose from one of our morning or afternoon private charters and customize your event now! Call (808) 879-8188 or Email. 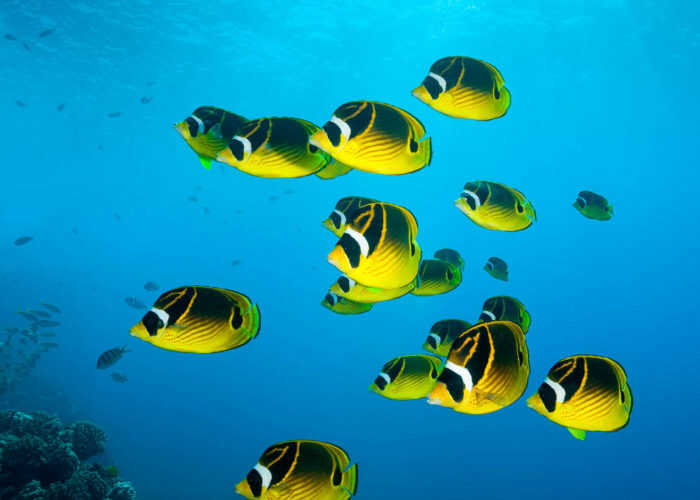 Have a party between 12 and 45 people that you would like to put on one of our regularly scheduled snorkel trips? Rather than a private event, please give our reservationist a call to inquire about details and discounts. We would be happy to host your Maui private party or special event! Maui Classic Charters has had the privilege to host; Aetna Group, Allergan, American Tire Distributors, Amway , Bausch & Lomb, Bayer Group, Blue Cross Of California, BTI Consultants Korea, Caliber Home Loans, Century Link, Coldwell Banker, Goldwell Cosmetics, Epson, Exxon, Fireman’s Fund, Firestone, GE Commercial Financing, Great West Life, Herbal Life, Honda Motorcycle, Indeed.Com, Ing Presidents’ Club, Johnson & Johnson, Kimberly Clark, Mary Kay Cosmetics, Medtronic, Merrill Lynch, Merz Pharmaceuticals, Nextel Partners, NRC Health, Pac Bell, Paycheck Flex, PGA Tour Partners, Ross Dress For Less, Sanyo, SAS, State Farm, Seagate, Sentra, Siemens, Sprint NCO, Sprint/Nextel, Symantec, Union Bank, US Swim Team, Verifone, Warner Brothers, and Washington Mutual.